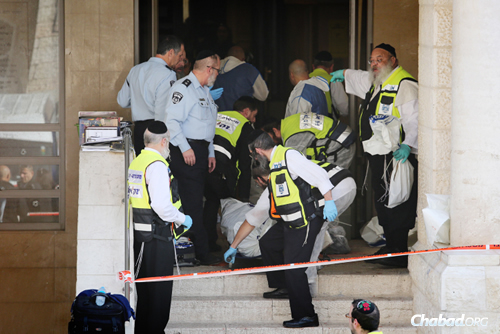 JERUSALEM—Five people were killed and seven others wounded after two Palestinian terrorists armed with guns and axes burst into a synagogue in the Har Nof section of Jerusalem. The terrorists were killed in a gunfight with Israeli police. There was panic during morning prayers in the Kehilat Yaakov synagogue, part of a yeshivah complex on Agassi St., as the terrorists entered at around 7 a.m., and began shooting and slashing. 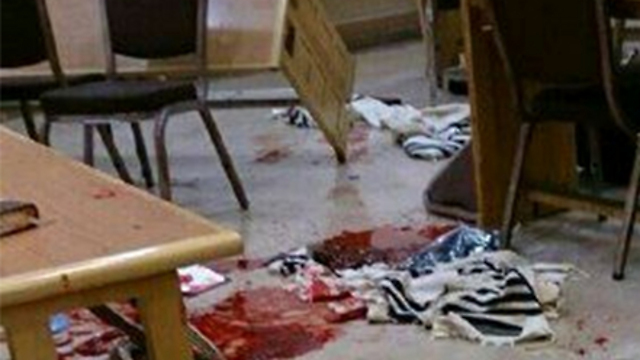 Photos from the scene show bloodied worshippers lying on the floor of the synagogue clad in talis and tefillin. 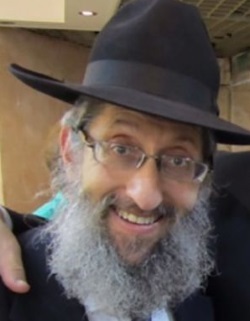 Rabbi Moshe Twersky was stabbed to death while he stood praying in histallit and tefillin. He was a formidableTorah scholar, and known to be very exacting in his personal compliance with Jewish law. The Twerskys are private people, but all the neighbors know they’re there for them in any way. When one neighbor was contemplating a risky solution to a problem, Rabbi Twersky stepped in and forbid him to do it, insisting that it was too dangerous. He was remarkably dedicated to his family, and his grandchildren’s faces lit up when they saw him. Houses in Jerusalem are small, and the Twersky clan is large. Since his is a close-knit and friendly building, neighbors offer each other the use of their own homes when people are celebrating a family affair. So when the Twerskys made a party in honor of their daughter’s engagement, the neighbors downstairs and across the hall both offered the use of their apartments. One served as catering headquarters and the other as the men’s section, while the women gathered in the Twerskys’ home. As soon as the party was over, Moshe Twersky removed his rabbinic frock coat and hat, and went to the neighbors to make sure everything had been cleaned up satisfactorily. Unhappy with the caterer’s mopping, he picked up the broom and cleaned the room himself. He is survived by his wife Miriam and five children - three sons and two daughters - aged 23-33, and ten grandchildren. 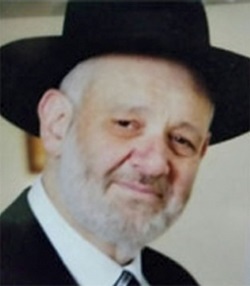 R' Kalman Levine was killed walking up the steps to the synagogue, which is next to his house. He was going to ask the rabbi a question in Talmudwhen he was gunned down. Even in a neighborhood where many of the men learn Torah full-time, Kalman was known as a genuine Torah scholar. Although he grew up with scanty Jewish education in Kansas City, once he was exposed to Judaism, he dived headfirst into the sea of Talmud. He quickly caught up with people his age who’d spent their youth in yeshivahs, and then surpassed them in his breadth and depth of Torah knowledge. Kalman lived life with such enthusiasm. He awoke early every day, praying at sunrise, and learning Torah until late at night. At the funeral, his son related that sometimes he’d wake up at 2 a.m. to get a drink, and his father would still be swaying away, deep in thought over his Talmud. 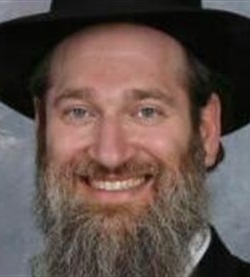 Kalman was a small man with a big bushy silver beard and an even bigger smile. He was a warm man who wasn’t shy about showing his concern for people. When someone needed to talk, he was completely there for them. He listened with his whole being; his eyes were focused on the speaker and he leaned in, to make sure he heard everything. When people insisted that he speak at an event and he felt that the audience was tired, Kalman made sure to only speak for five minutes. But don’t think that his intensity was off-putting. His smile always reached his eyes, and people knew he was glad to see them. And no one who knew Kalman can ever forget the Mickey Mouse costume that he wore every Purim for decades, until it wore out. He is survived by his wife, & nine children. 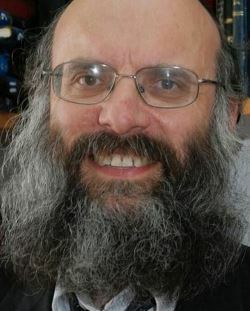 R' Avraham Shmuel Goldberg’s love for the Land of Israel was apparent when he left his comfortable home in England to move to the town of Ofakim about 15 years ago. Rabbi Goldberg was known as a truth-seeker who sought out relationships with great Jewish leaders, becoming close to rabbis wherever he lived. His sweet, shy smile rarely left his face, and people always felt comfortable turning to him. He would help people in any way he could. Anyone who was having trouble finding the source of a Jewish law or a parable knew they could turn to Avraham Shmuel, who always had a clear grasp of what he had learned. But he never expected any special respect because of it. He humbly submitted himself to men who were greater than him in Torah knowledge, following their advice thoroughly. Avraham Shmuel was one of those people who always knew what to do—and what not to do. He didn’t hesitate to step forward when he could be of use, but he never trod on anyone’s toes, either. When one of his oldest friends was left a widower a year and a half ago, he called every single day to cheer him up, without ever staying on the phone long enough to be an inconvenience. He is survived by his wife, six children. R' Ari Kupinsky was a neighbor whom I knew less well. But whenever I called on him to help the local paramedic organization with its yearly fundraising drive, he stepped up to the plate. Even when he’d barely gotten over the shock of losing his adolescent daughter, who’d passed away in her sleep without any warning; even when he’d just moved to a new building and didn’t know most of his new neighbors; even when he was just much too busy to do it that year—he always ended up agreeing to help. 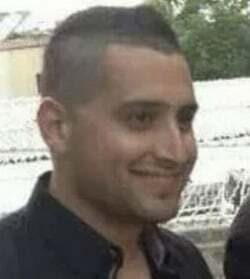 He is survived by his wife and five children, aged 5 to 16. He is survived by his wife and four month old baby.